KEEM is a collaboration between artists Kate Elliott and Emma McGarry. It was established in 2011, as an exploration into the nature of collaboration. Through methodology, ongoing discussion and debate, KEEM produces work which continuously questions subjectivity, materiality and identity. Emma McGarry has been working as Lead Artist for the Special Schools Preview of the New Tate Modern which took place on June 16th 2016. As part of the programme she invited Kate Elliott, as one of eight artists, to collaborate on an exchange, the outcome being a series of new learning resources, for use on the day and from now onwards. 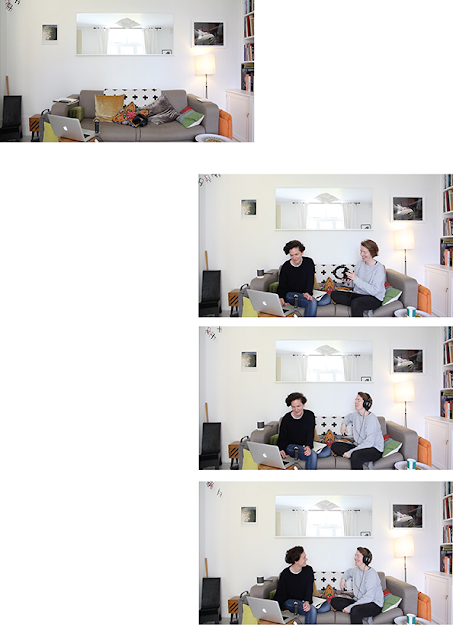 For their Tate exchange Kate Eliott and Emma McGarry (KEEM) compiled a list of words that connect their two practices. They then individually compiled a 'mix-tape', with each song relating to one of the words, before sharing them with one another. From this exchange, the following resource was created: Y IS FOR YOU (AND ME) CAN HAVE IT ALL. Devised by Emma, the Special Schools Preview - known as A.S.S.E.M.B.L.Y - included a manifesto proposing YOU CAN HAVE IT ALL. On the morning of June 16th 2016 the doors to the new Tate Modern were thrown open to 3000 school students from across the UK as its first public visitors. On arrival at Tate, groups of school students were given one of the eight artist learning resources, each of which relates to a specific collection of works within the building. 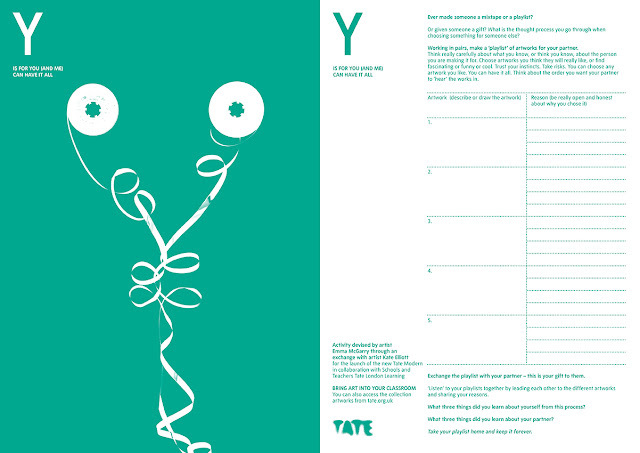 KEEM's resource - Y IS FOR YOU (AND ME) CAN HAVE IT ALL - connects to the Louise Bourgeois Artist Room in the new Switch House extension of the Tate Modern, where groups of students created their own 'mix-tapes', in response to chosen Louise Bourgeois artworks. Alongside the resources, special events and activities ran throughout the day, and the soundtrack of KEEM's above exchange was shared through a silent disco. all images © KEEM. Simple theme. Powered by Blogger.